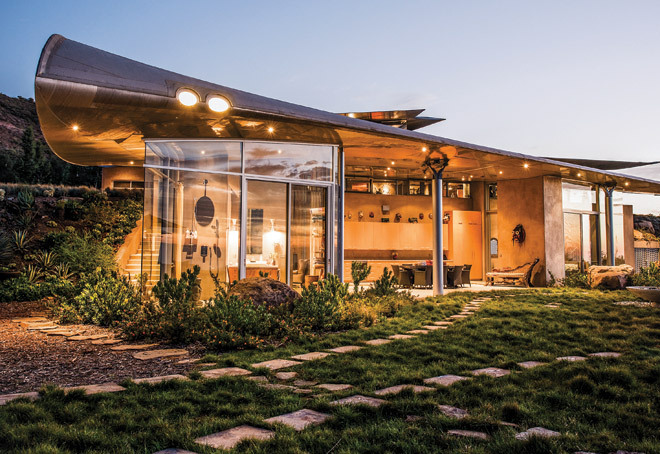 In our December issue managing editor Ann Herold steps inside one of her favorite L.A. homes to date, a Santa Monica Mountains estate built with the pieces of a chopped-up Boeing 747 and artfully decorated by its owner, Francie Rehwald. It’s an abode you have to see to believe, and we include nine images of the David Hertz-designed structure in the magazine. The photos, shot by Dave Lauridsen, showcase interiors and the estate’s grounds, but we think this time-lapse video, filmed over the nearly seven hours that Lauridsen and his crew worked inside and out, offers a fresh look at the property. Prepare for oohing and ahhing.